With Australia’s ageing population and increasing rates of chronic disease combined with growing awareness of the benefits of a healthy lifestyle, there is strong demand for a range of health and medical graduates. Providing life-changing preventative and restorative treatments to people from all walks of life, graduates are able to take their skills anywhere in the world. A degree in health and medical services is incredibly rewarding. With the average life expectancy of Australians expected to raise to 93+ years, graduates in this area will enjoy unique and interesting opportunities and challenges throughout their careers. Why study health and medical services at UON? 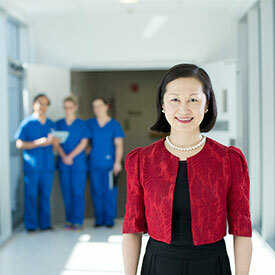 We are global leaders in health and medicine - we're home to the $90 million Hunter Medical Research Institute and leading minds like neurologist Professor Neil Spratt and his team who have revolutionised the way stroke patients are treated, or Professor Vanessa McDonald who is a key figure in the treatment of respiratory diseases such as chronic obstructive pulmonary disease. Experience new age learning - we integrate the latest technologies into all our health and medical degrees. Learn through a range of futuristic tools, virtual reality scenarios or lifelike robotic manikins. Get hands on experience with over 1,000+ hours of practical experience as part of your study, within a range of settings, and contact with real patients and cases from your first year onwards. This includes exciting international placements in Speech Pathology through the degree’s Southeast Asian stream; experiences in West Timor, Cambodia or Vanuatu for oral health therapy students; or rural and remote clinical placements for allied health students through our Department of Rural Health. Connect with communities to improve access to healthcare services both nationally and internationally. Our strong approach to equity is carried through with access to our degrees - this is why we are the largest trainer of Indigenous doctors in Australia. Start earning sooner with fast tracked degrees like Podiatry where you can work from year 2 onwards, or Medicine where you get two qualifications in only 5 years of study. Video: Kate is educating and advocating for basic health and medical services globally. We understand that sometimes you don't know exactly which degree you'd like to pursue, particularly in an area as diverse as health and medicine. You may, however, know which specialisation or major excites you. Use these areas of interest to narrow down your study options based on your interests and career goals. Aged care involves learning to work with, and advocate for, older people in assisting them to navigate the evolving health services environment. As Australia’s population ages, the demand for aged care graduates is expected to increase. A career in this industry can be enriching and extremely rewarding. Food is fundamental to our health and wellbeing. Within your degree, you will learn about diet and nutrition-related diseases such as heart disease, diabetes and obesity. You will study why these conditions are becoming increasingly common worldwide. At the same time, you will consider the growing evidence suggesting that certain foods and food-based nutrients could be used to help manage and treat these and other diseases. This industry is rapidly growing and opportunities for students with degrees in food and nutrition are constantly evolving. The Western world is moving towards a new era of health problems related to lifestyle and inactivity, while at the same time elite sport enjoys a high profile in the community. Health and fitness degrees produce qualified specialists with an understanding of the relationship between exercise and health. Studies in health and fitness can lead to a range of broad and varied careers, helping people achieve and maintain a healthy and active lifestyle. Medical engineering students learn to be involved with the design, development, testing and implementation of safe and effective technological solutions for the health and medicine industry. Depending on their area of specialisation, a medical engineering graduate could study how to work with biomechanical devices, surgical equipment, nanotechnology drug delivery systems and diagnostic tests, prosthetic limbs, artificial organs, or electrical and computing systems relating to radiotherapy, respiration or dialysis. Medical engineers work in hospitals and other medical institutions, health-related manufacturing and technology companies, pharmaceutical companies, and research organisations. Medical radiation science is a field that’s constantly evolving. Medical radiation students learn the skills to become healthcare professionals who perform complex testing and treatment to help diagnose and solve medical issues. There are three main branches of this scientific field: diagnostic radiography, nuclear medicine and radiation therapy. Medical research is conducted to aid and support the development of knowledge in the field of medicine. Your degree in medical research will be heavily grounded in biology and can either focus on biomedical science or biotechnology. Biomedical science studies the human body, its structure and function in health and disease. While, biotechnology uses living organisms to modify products for a specific human purpose. Biotechnology plays a key role in the creation of vaccines. Medicine is a field of study which is both challenging and rewarding. As a doctor, you will act as a key player in multi-disciplinary medical teams to diagnose and treat patients. The field of Medicine is also rapidly changing with advances in technology and research bringing new therapies and treatments, meaning doctors have new, revolutionary tools at their disposal in patient care. Studying a degree in medicine builds a lifelong career in health and can open up doors to a range of specialities. A nursing student will learn to care for individuals, families, and communities, ensuring that they maintain good health or recover from injury and disease. The study of Midwifery, however, focuses on the care of women, babies and their families prior to pregnancy, during pregnancy, labour, birth and the early infancy period. Nurses and midwives are a key part of the team of health professionals who care for patients across hospitals and community health centres. Occupational therapy students learn to work with clients and their families to allow them to participate in the activities of everyday life. Their studies focus on a range of different scenarios including helping children with development of fine motor skills; in aged-care assisting to retrofit a home to improve safety; in injury rehabilitation to allow people to return to work; and in mental health helping people regain confidence and independence. Occupational therapy degrees produce trained specialists who work to alter the occupation or the environment to allow clients to lead a rich and fulfilling life. Oral health therapy graduates may work alongside dentists and perform a range of preventative and restorative tasks like cleaning, scaling, polishing and x-rays. Their degree will largely focus on work with adults but depending on the specialisation, may involve work with children as well. Graduates of an oral health therapy degree can also work in a range of other dental health promotion and research roles. The study of pharmacy is not just about filling prescriptions. It is about learning how to promote health awareness and contributing to ongoing community health. As a pharmacy student you will study consulting on the best use and management of medications, and how to provide advice on symptoms and treatments of common ailments. Pharmacists support the work of other medical professionals by ensuring the safe use of medications and other drugs. Within your pharmacy degree you will be exposed to the work that the majority of pharmacists undertake in hospitals, community centres or private practice. Physiotherapy graduates learn to work with people of all ages to help patients overcome injuries and disabilities that hinder their mobility and quality of life. Their studies focus on working closely with other professionals to assess, diagnose, treat and prevent a wide range of health conditions and movement disorders.Throughout their degree, they will learn the application and health benefits of a range of techniques such as massage, heat treatment, ultrasound and exercise. Podiatry students learn to diagnose, treat, prevent and manage medical conditions and injuries of the leg, foot and ankle. As a Podiatry graduate you may find yourself correcting sports injuries; addressing developmental issues in children; or helping restore a person's independence and mobility. Podiatry degrees have found graduates work in a range of different environments including public and private practice, hospitals, sports clinics and research centres. Psychology degrees focus on the scientific study of human behaviour, the human brain and its effect on the way we act and why. This field moulds graduates into experts in human behaviour and they learn the skills and strategies to make a positive impact in the lives of others. Career opportunities are broad and varied and understanding human behaviour is a definite advantage in any industry. Speech pathology degrees train graduates to be responsible health professionals, skilled in the assessment and treatment of children and adults with communication and swallowing disorders. Students learn about identifying and treating conditions such as delayed speech and language development, cleft lip and palate, voice disorders and stuttering. They learn to work with people who have difficulty communicating because of developmental delays, stroke, brain injuries, plus a range of other problems that can impact speech. Studying speech pathology can lead to work in hospitals, nursing homes, schools, rehabilitation units and private practice. At UON you'll learn from the best. It's why our nursing discipline is ranked in the world's top 100 universities. 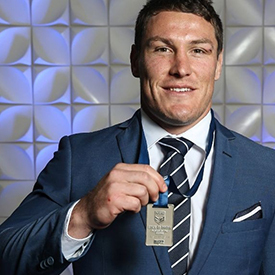 UON student Josh Jackson was the proud recipient of the ‘Brad Fittler Medal’ at the 2016 NSW Rugby League Awards. Josh combines full-time football for the Canterbury-Bankstown Bulldogs with studying at UON. Meet Jess, a High Achiever Scholarship recipient - “Getting the scholarship meant recognition for my academic achievements and gives me the opportunity to meet my career goals and aspirations”. 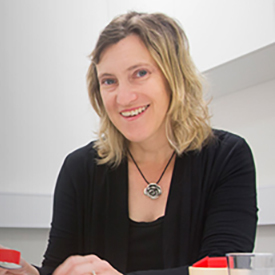 Associate Professor Alison Lane has identified specific sensory subtypes in children with Autism Spectrum Disorder that relate to distinct neural profiles and patterns of challenging behaviour. Combining your passions in unexpected ways can lead to new thinking. UON Occupational Therapy graduate, Joel Pilgrim is showing us how.